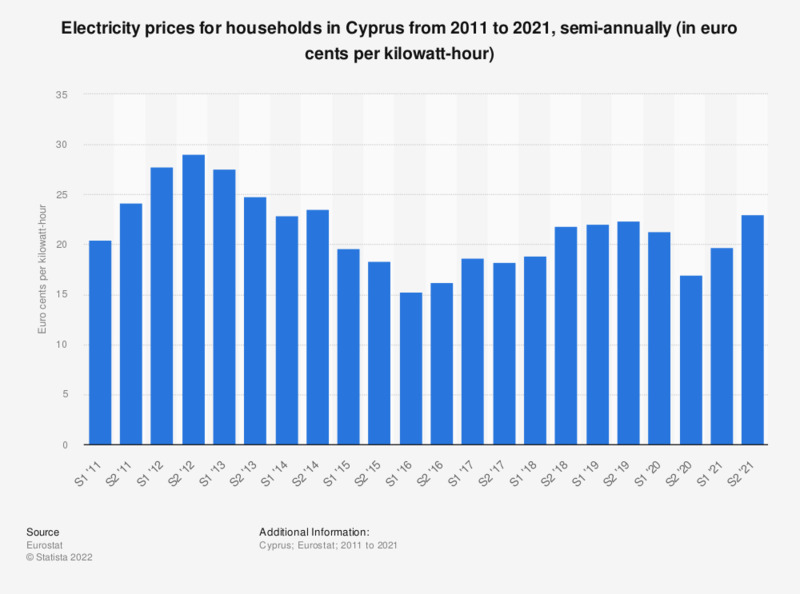 This statistic shows the electricity prices for household end users in Cyprus semi-annually from 2010 to 2018. In the first half of 2018, the average electricity price for households was 18.93 euro cents per kWh. Band-DC (Medium): annual consumption between 2 500 and 5 000 kWh. The published data are national average prices over a period over 6 months. Semester 1 prices are average prices between 1st January and 30th June of each year, semester 2 prices are average prices between 1st July and 31st December of each year. Statistics on "Electricity production and consumption in Italy"